We've tested Google Apps for Business and came up with the following guide for migrating to this new paid service. The big difference is administrative. 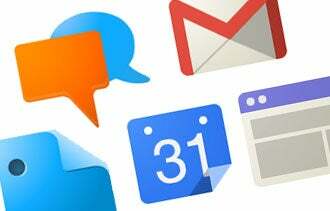 Google Apps is free, but capped at 10 users and limited to 7 GB of email storage per person. It does not include service level guarantees or active customer support. Google Apps for Business has two pay plans: $5 per user per month with no contract, or $50 per user per year with a one-year commitment. Businesses can add unlimited users and get 25 GB of email storage, live customer support and the ability to sync with a business' BlackBerry Enterprise Server or Microsoft Outlook. Email archiving and sophisticated security features are also improved with a tool called Postini. For example, admins can set custom spam controls and filters. How to migrate to Google Apps for Business. Upgrading to the service can be a complex process. First, you will need to sign in under your Google Apps administrative identity. Remember, your and your employees' personal Gmail or other Google accounts do not count as Google Apps accounts and are not supported. Setting up Google Apps for Business can also involve some simple technical issues. For example, moving large amounts of data into Google Apps can require a number of complicated steps. While there are several downloadable utilities such as Google Apps Migration for Microsoft Exchange and Google Apps Migration for Lotus Notes that can help, you still might want to use Google's live support when you do it, which can be accessed from within your account. Google Apps for Business can compare favorably to cloud-based competitors such as Microsoft Office 365 and Zoho. It costs $1 less per month than Office 365's small business package, which also requires you to purchase licenses for Microsoft Office products. Google Apps is also an "all-you-can-eat" package, meaning that once you pay, its services are all-inclusive. Zoho, on the other hand, offers a menu of online collaboration and CRM tools, each with different pricing for individual features that you have to buy separately. With Google Apps for Business, the upside is tech support. The extra cost for it can be worth it for entrepreneurs who are tired of holding their employees' hands when technical problems arise. But remember, a support number and a user PIN are both required, which means they must be distributed to employees. We were less impressed with the advanced security features offered via Postini. Activating this service requires changing your "MX records," which are used to route email. Many of the Postini services in the demo we saw were similar to what Gmail already does. For average business email needs, it isn't likely to be worth the trouble. Bottom line: Google's free services already are useful enough that users who are familiar with Gmail and Google Docs might not find much reason to pay. And if you don't have a large staff, and are already in the habit of frequently deleting old emails and other files, you might be able to shore up enough storage space for a small business with several free accounts. But Google Apps for Business might be worth considering for businesses that often require tech support, or for those migrating from a costly server-based solution, or those where record keeping and compliance are critical.